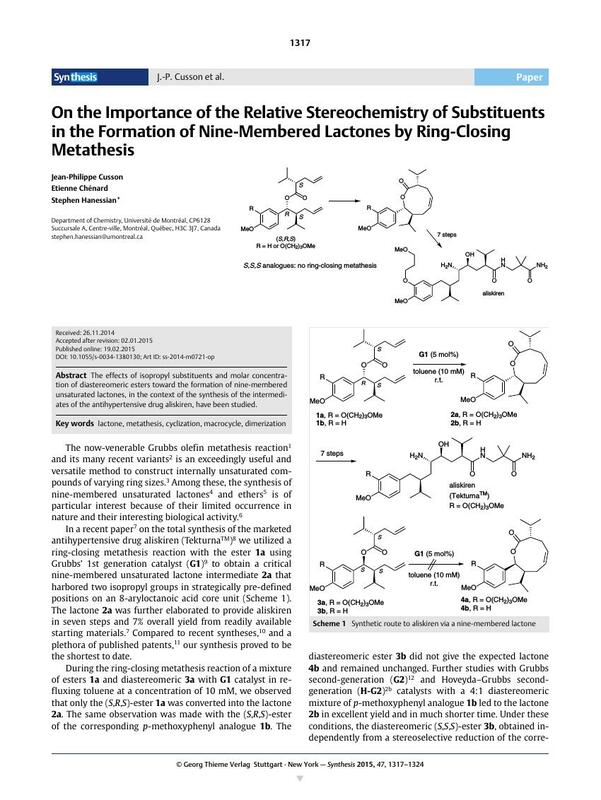 The effects of isopropyl substituents and molar concentration of diastereomeric esters toward the formation of nine-membered unsaturated lactones, in the context of the synthesis of the intermediates of the antihypertensive drug aliskiren, have been studied. Supporting information for this article is available online at http://dx.doi.org/10.1055/s-0034-1380130. 16 See the Supporting Information.